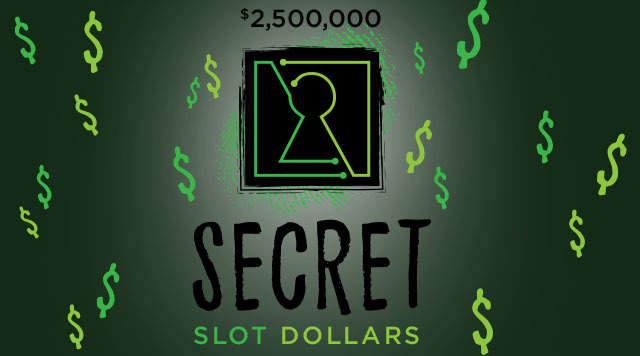 The secret is out... You could win a share of $2,500,000 Slot Dollars! Each week, 1,000 WINNERS will be randomly selected to win $500 SLOT DOLLARS and one BIG WINNER will win $10,000 SLOT DOLLARS! Will you be one of the winners? Check at any B Connected kiosk from 10:00am – 10:00pm to see if you’re a winner! Slot Dollars will load to the guest's card automatically. Slot Dollars must be activated before midnight and then valid for seven days following the win. *Not everyone is a winner. See B Connected for complete rules and details. Management reserves all rights.